Discover Bed Head’s new value saving sets that are exclusive to Look Fantanstic! From boosting hair volume to repairing damaged hair, from taking care of coloured hair to getting silky, smooth and shiny hair – there’s something for everyone! Take care of weak, dry and damaged hair! Discover our range of shampoos, conditioners, hair masks and leave in conditioners to get your hair back to its healthy self! Keep coloured hair looking vibrant, electric and healthy! Discover our range of products including shampoos, conditioners, protection sprays and styling products designed specifically for coloured hair of all colours! Get explosive shine and incredibly smooth hair with TIGI’s range of shampoos, conditioners and styling products designed to silkify hair, tame frizz and add gloss! 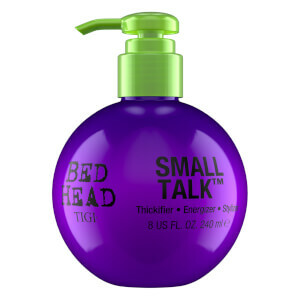 Volumise fine and flat hair with TIGI! For thicker-looking hair, massive body and incredible lift, look no further! Get style definition with Bed Head for Men! Perfect for a hair refresh, style definition, thicker and fuller hair and beard care! Define, moisturise, cleanse and de-frizz wavy and curly hair! Perfect for rebellious, dry, frizzy, tired and unruly waves and curls! Discover TIGI’s range of iconic styling products! Add definition, create texture and get long-lasting hold - lock in style and finish off your look! Prepare your hair for summer! Our Totally Beachin’ range focuses on protecting hair from summer elements, moisturising dry hair, detangling beach hair and styling for summer fun! TIGI: By hairdressers. For hairdressers. 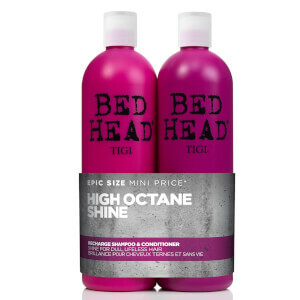 TIGI is a professional brand tested by the TIGI International Creative Team. Wash and care products are created to help you keep your hair healthy. Choose from a wide range of styling and finishing products for every hair type and hairstyle.